Lamitape – the easiest and fastest way to pack your products. Lamitape is the easiest and fastest way to pack and seal your products. It is highly adhesive and depending on the type also waterproof for long-term outdoor storage. Lamitape for any packaging application. 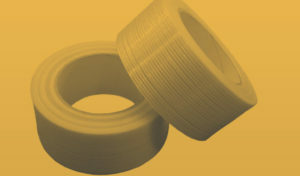 Standard packaging tape – preferred for manual processing. Fabric-reinforced packaging tape for the most demanding conditions like heavy pile goods and high requirements. Elastic- tear proof packaging tape for outside use.